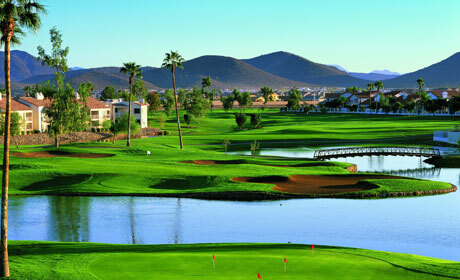 Legend at Arrowhead Golf Course is a Public, 18 hole golf course located in Glendale, Arizona. 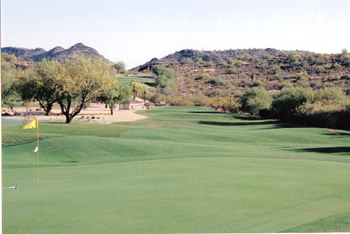 The course first opened for play in 1986. The Legend at Arrowhead Golf Course was designed by Arnold Palmer. 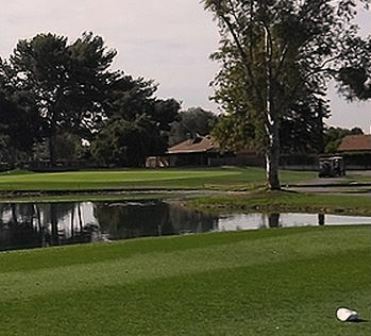 The Legend is a par 72 course that measures 7,005 yards from the championship tees. 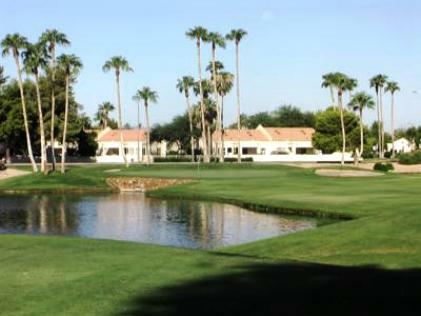 The Legend at Arrowhead is set among six lakes and has mature palm trees numerous doglegs and bunkers at every turn. The greens are undulating and hard to read. The signature hole is #5, a 431-yard, par 4, requiring a tee shot from an elevated tee with water on the right side of the fairway and alongside the green. 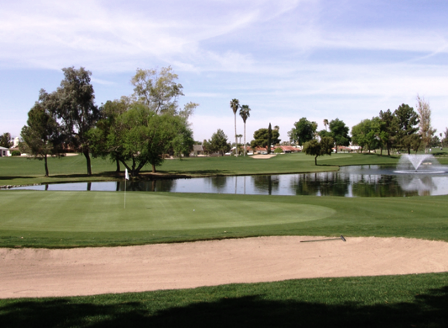 All of the holes, with the exception of one, have sand bunkers on the fairways or around the greens. Excellent Course! Has brand new carts. Amazing Arnold Palmer Designed Layout. Tough layout. 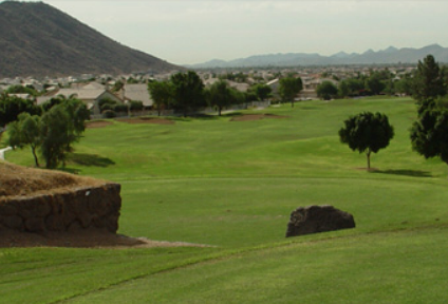 Elevated tees on #5 let you see all of Phoenix and Glendale, mountain views for days! On the day I was there Hot Air Balloons rose from behind the mountains and it was a spectacular sight. Staff was amazing. 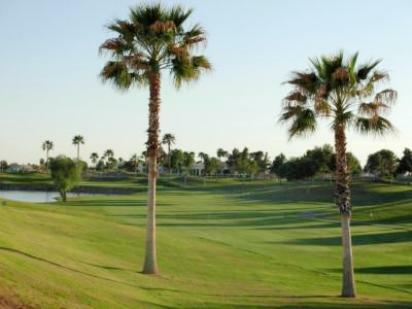 Go here and play this course if you are here for Spring Training. Like most legends it does not stand up to the hype. Overall conditions a little worn out. Greens were just ok. Fairways worn in many places. Friendly staff, played fast on a 100 degree day. Two 4 sums let my two sum pass. Better courses around for same price. This course is great for the price in the off season for me. I can't afford this course in season. The houses surrounding course can ge intimidating when you are off on your tee shots. Course is OK. Greens are like concrete. 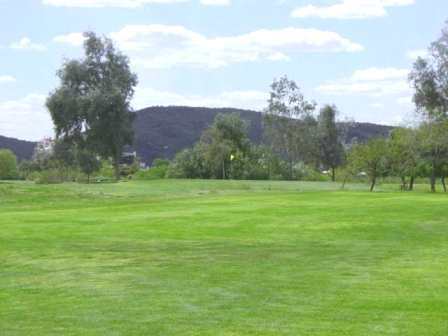 I've played this course on numerous occasions as it's close to my home. It's never really at the top of my "to play" list, but it offers a nice round and an enjoyable layout. Overall, it's a good value course with a nice layout. I absolutely love this course. Designed by Arnold Palmer it has many doglegs, lots of contour in the greens, water hazards and even a few elevated greens. The course is in the best shape it's been in for over 5 years. All the staff are wonderful and even the cart girl will take a credit card. There are lots of specials going on all the time. There's a monthly range pass that you can purchase for $50 and also includes golf after three for only $15. 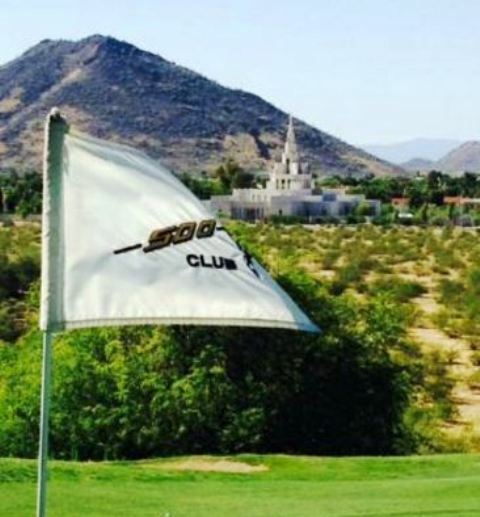 This is definitely one of the finest courses in the Phoenix area. Challenging layout. Greens were in terrible shape. Nice anmbiance. Playing this course over the past couple of years, it is in pretty bad shape for this time of year. The greens were a real disappointment,almost scalped, with the rough playing very deep just off the fairway.